ISLAMABAD, July 22 (APP): Pakistan on Friday decided to approach the United Nations’ Human Rights Council to send a fact-finding mission to Indian Held Kashmir (IHK) to investigate the killing of innocent civilians. 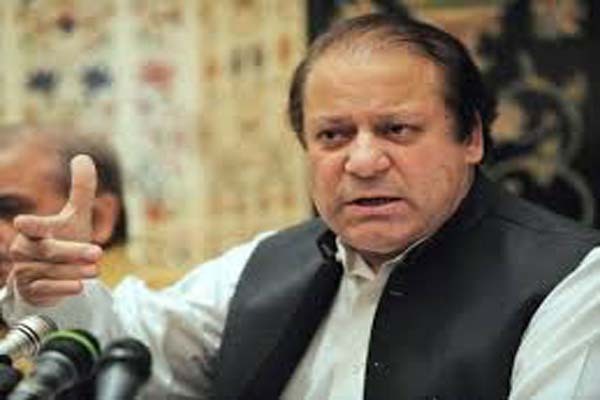 Chaired by Prime Minister Muhammad Nawaz Sharif, the meeting of National Security Committee resolved that “Pakistan will approach the Human Rights Council of the United Nations on its own behalf, and on behalf of OIC Contact Group on Kashmir to send a fact-finding mission to Indian Held Kashmir for investigating the slaughter of innocent civilians”. The meeting also sought ban on use of pellet guns by Indian security forces for dispersing Kashmiri people exercising their right to protest in IHK. Prime Minister Nawaz Sharif condemned the continuous Indian oppression in Held Kashmir and said the use of brutal force was a blatant violation of the fundamental rights of Kashmiri people. He said India’s terming of Kashmir dispute as its internal affair, was factually incorrect, legally untenable and indeed a violation of international law and UN Security Council Resolutions. The Prime Minister said Kashmiris’ movement was their struggle for freedom and stressed that by suppressing the voice of Kashmiri people, India could not legitimize its occupation in Kashmir. The only plausible solution of the Kashmir issue would be the early implementation of UN Security Council Resolutions that call for a fair and impartial plebiscite under the UN auspices, he added. Nawaz Sharif said Pakistan would continue to provide diplomatic, political and moral support to the people of Jammu and Kashmir for the realization of their fundamental right to self-determination. The meeting unanimously expressed grave concern over the martyrdom of indigenous Kashmiri freedom fighter Burhanuddin Wani and strongly condemned the continuing oppression of the Indian security forces on innocent Kashmiris. The meeting called upon the international community to play their role in fulfillment of its commitment towards the people of Jammu and Kashmir under the UNSC Resolutions. On national security, the meeting lauded the relentless contributions and sacrifices of the country’s Armed Forces and security personnel and expressed satisfaction over the gains achieved so far during the ongoing Operation Zarb-e-Azb, in effectively ensuring national security. The meeting re-affirmed its resolve for elimination of terrorism and extremism from the motherland and appreciated the role of military and civil intelligence agencies against the nefarious designs of the international agencies and hostile countries. On Afghanistan, the meeting decided introduction of an effective border management system and termed its enforcement in the interest of both the countries. The meeting was attended by Defence Minister Khwaja Muhammad Asif, Interior Minister Chaudhry Nisar Ali Khan, Finance Minister Ishaq Dar and National Security Advisor Nasir Janjua. Chairman Joint Chiefs of Staff Committee General Rashad Mehmood, Chief of the Army Staff General Raheel Sharif, Naval Chief Admiral Zakaullah and Director General Inter Services Intelligence Lt Gen Rizwan Akhtar were present. Prime Minister’s Advisor on Foreign Affairs Sartaj Aziz and Special Assistant Tariq Fatemi also joined the meeting.